Looking for a window treatment your curious kitty can’t destroy? These custom faux woods are built to withstand warping, heat, moisture and ferocious felines. Made of heavy-duty vinyl polymers in popular designer painted colors, they’re fade and scratch resistant, too. 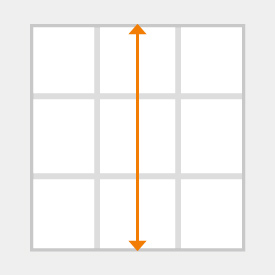 Extra wide 2-1/2” shutter-like slats leave less space for cats to get caught in between and give you (and them) a more wide open view. You can order these fantastically affordable fauxs with a cordless lift, too, so no dangling strings for toms – or fun-seeking toddlers – to play with. 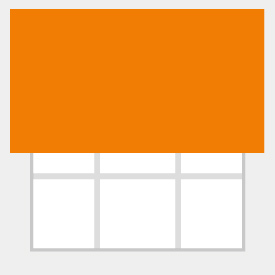 These durable window dressings are a DIY delight. Made in the U.S.A., they’re a cinch to install and come complete with a 3-1/4” magnetic crown valance for a smooth, streamlined look top to bottom. The innovative inverted bottom rail lets you lift and lower them with the touch of your hand – no handle needed! 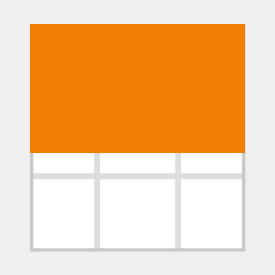 Add a custom touch to doors and windows alike with available cutouts so they fit perfectly around hardware, countertops, window sills and other spaces or protrusions. 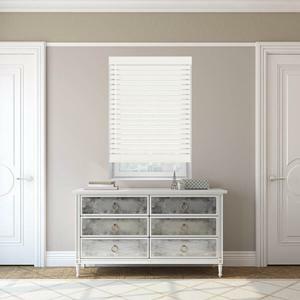 2-1/2” Premium Faux Wood window blinds are great for covering big, extra wide windows with options to hang two-on-one headrail or ordering a shared valance for a complete, cohesive appearance. Feel free to sample some in every color. Match them with the 2” Premium Faux Wood Blinds on smaller, narrower windows for a custom design throughout your room that even the finickiest feline will approve. 1/2" standard deduction taken at factory on all inside mount blinds. All bottom rails are inverted to allow the profile to act as a lifting device, no handle necessary. Inside mount valances will have 1/8 inch deduction to fit inside the window frame. 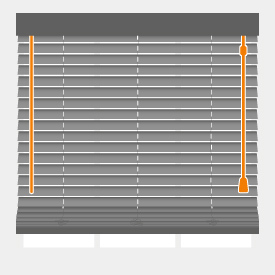 Returns are recommended if your window does not meet the flush mounting space requirements of this blind (see Installation section). Returns are side pieces that attach to the valance to cover the sides of a headrail should it be sticking out from the window frame. Cordless Lift System comes standard with wand tilt. 2 Blinds on 1 Headrail must have split controls. Tilt and Lift Controls cannot be on the same side. Cutouts for door handles are available. 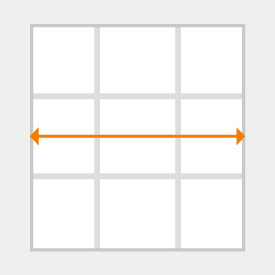 Maximum cutout width is 4 1/2". Cutouts on both left and ride sides are available upon request. Same side control not available on blinds under 15" in width. Shared valances over 94 inches wide will come spliced. 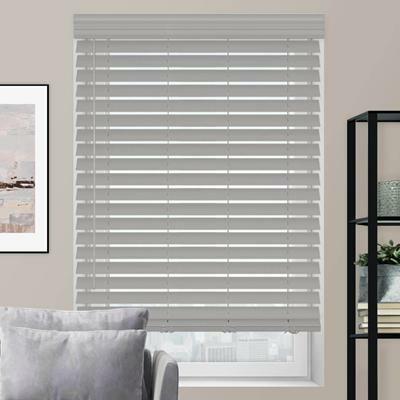 After investigating and comparing prices for the faux blinds, I decided to use selectblinds.com for the value and ease of ordering. This was my first time for measuring and ordering blinds, but I found the website instructions extremely helpful and the entire process was pretty quick from measuring to ordering. The blinds were received within the delivery time frame specified and I was extremely pleased with the way that they looked. 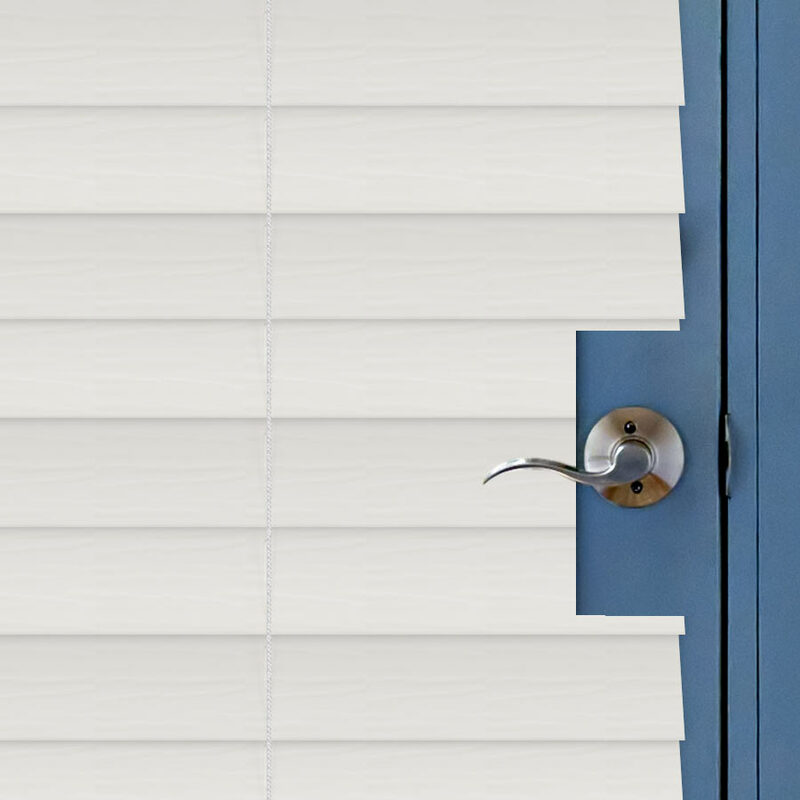 After installing the blinds they exceeded my expectations for appearance. Overall, dealing with this company was a very positive experience and I would recommend them to anyone. 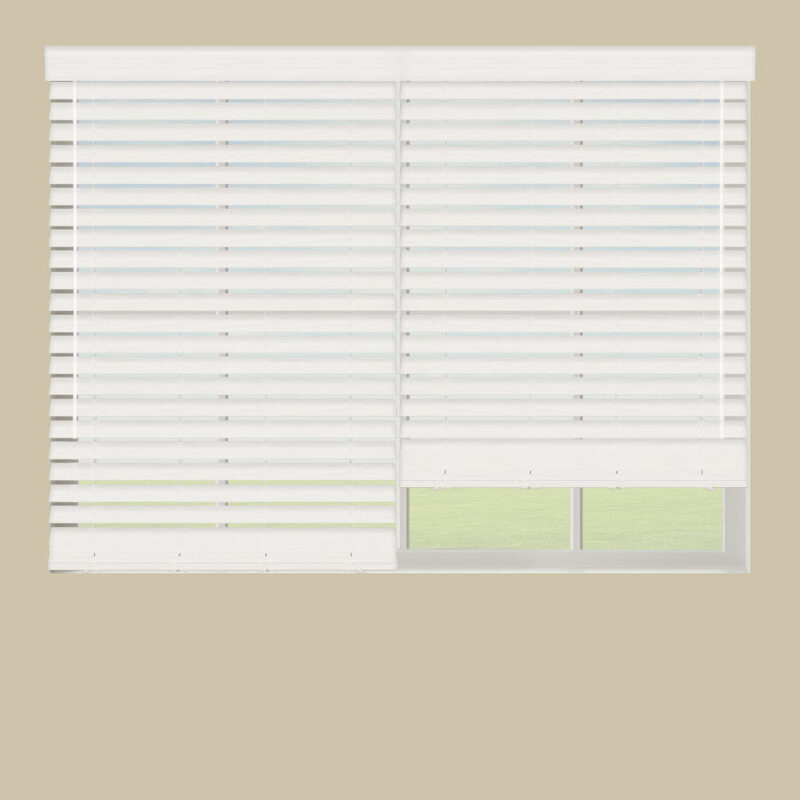 I purchased the 2 1/2" premium faux wood blinds with the no-holes option for our master bath. It covers the large picture window which is over the garden tub and shower. They look great, are more heav-duty than expected, perfectly sized, and are easy to wipe dry after each shower. I previously had sheets hung for privacy until I made a decision on what to use for window coverings. It took me awhile because I do 'massive' research first. But, I finally made my decision. 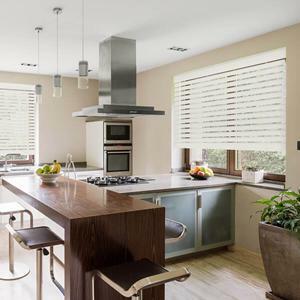 I chose Select Blinds because I felt I could trust them as an online supplier, they were the best value and had the total range of product and dimensions I was looking for. 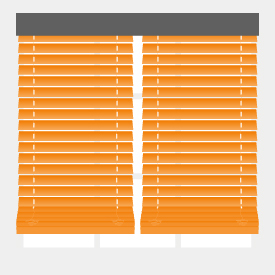 Out of 25 blinds ordered, only 2 were not the correct length. Replacements were sent, but after five days we still have not received them yet. The over all quality is good and the value is the best we could find. I installed them myself and the installation was easy once the first one or two were figured out.